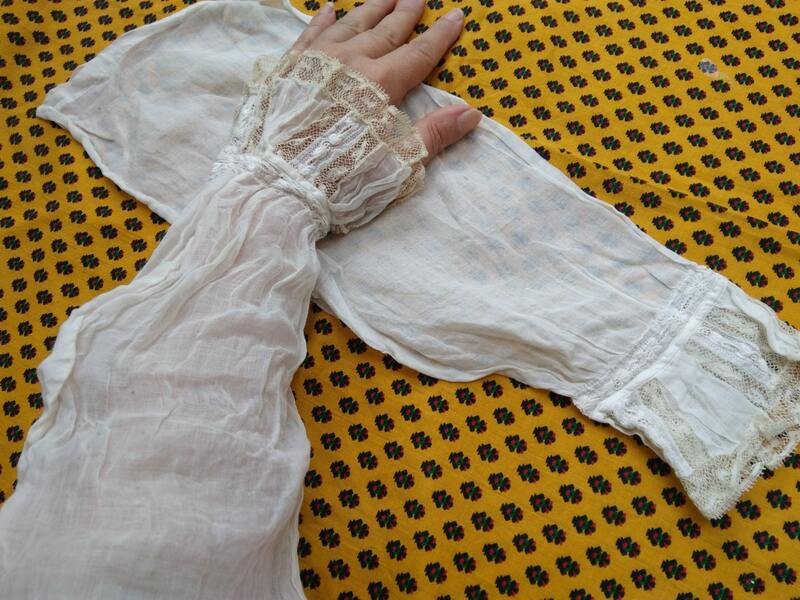 Rare 1900's Antique French handmade white sheer cotton arm warmers with lacy wrist let cuffs. 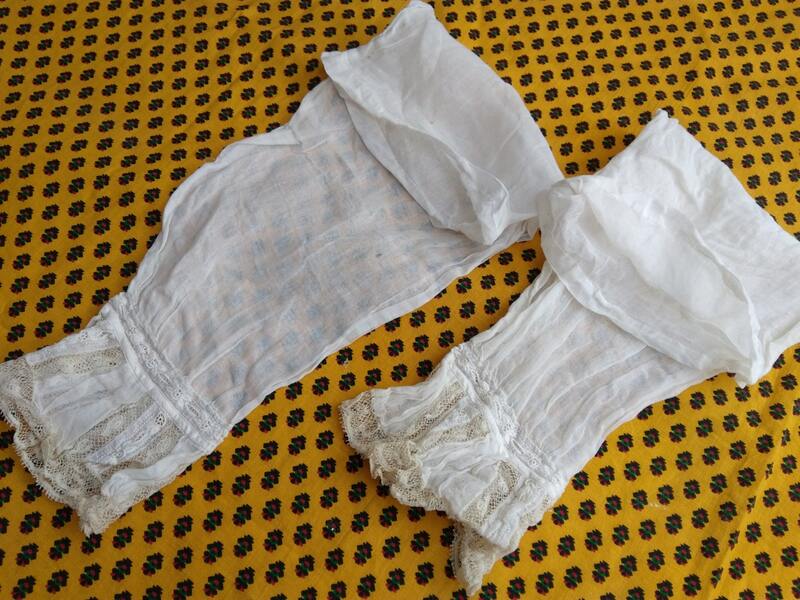 Made of white cotton. Long sleeves. 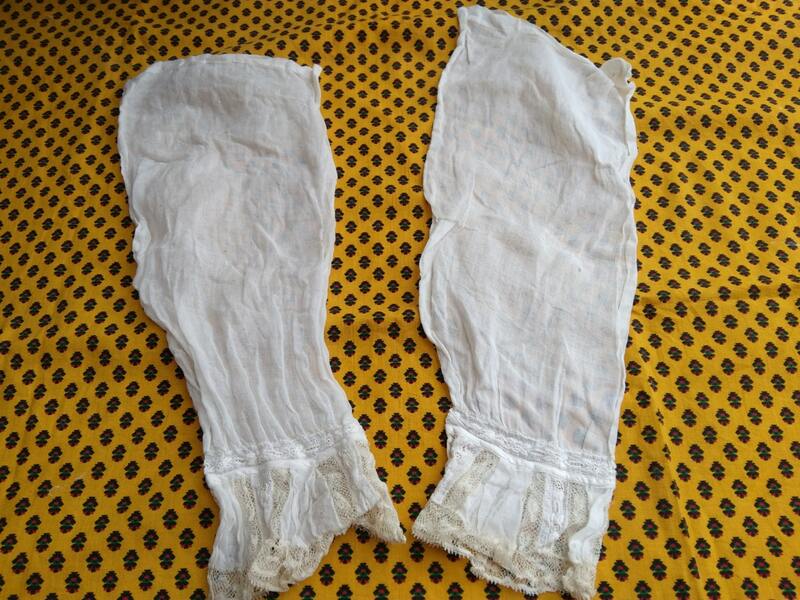 These were used to cover arms or sleeves during the Victorian Era. 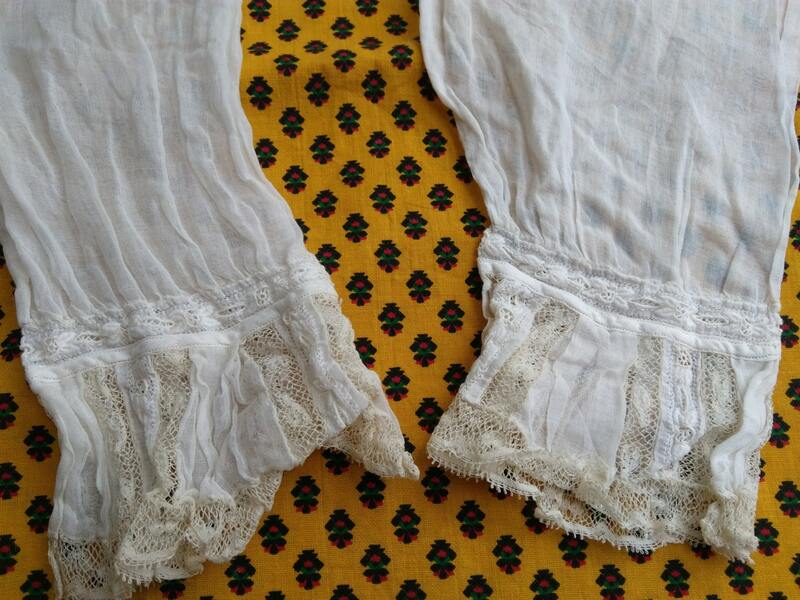 French have a lot of antique handmade linens because of our Wedding Trousseau custom. Each item is handmade and very unique ! So please enjoy another original lovely work ! 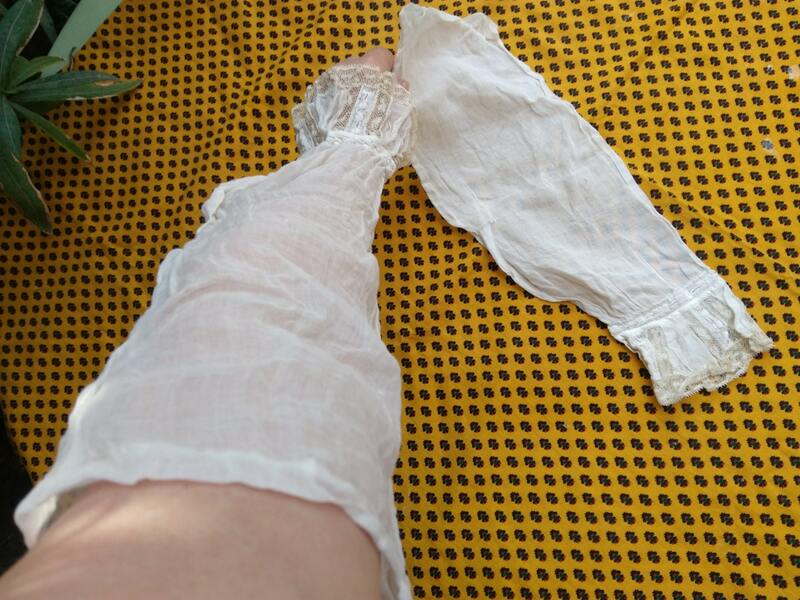 Gorgeous Antique and very Unique antique women accessories !